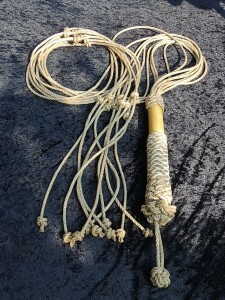 I have already made two cat o nine tails in the past, but I thought this time I would record my progress of making one. 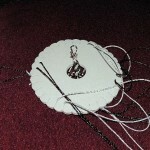 In this particular case I used polished hemp, white cotton and also some bamboo. 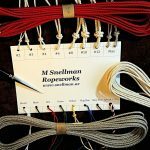 I started off by measuring nine pieces of polished hemp cord of the same length. I then used 7 of the pieces and tied a star knot that was wrapped around the remaining two pieces of hemp. The idea was that the remaining two pieces would then be used to hang the cat o nine tails when not in use. the centre of the bamboo that would act as the handle for my cat. 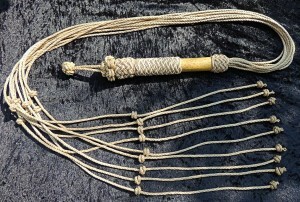 The bamboo handle was then covered in a Turks Head 4 bites by 19 leads, using thinner polished hemp and the white cotton cord to make if more decorative. I also wanted to leave some of the bamboo showing, as it is a rather nice wood visually. 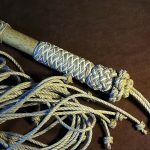 (wood glue) to 50% water, which I coated onto the knots of the handle. 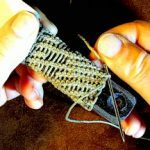 I find this protects the knot work and I can then wash it in future if it gets grubby. 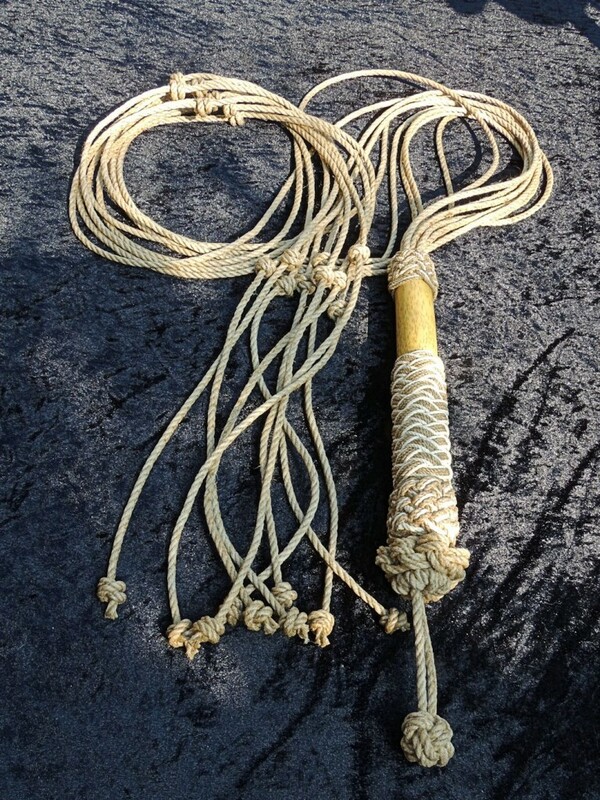 ……… and then here is the finished Cat O Nine Tails. I’m a bit late to the party on this, but I want to tell you what a terrific job you’ve done on this. May I ask what size cord you used for the tails? Many thanks for your comments Pete. 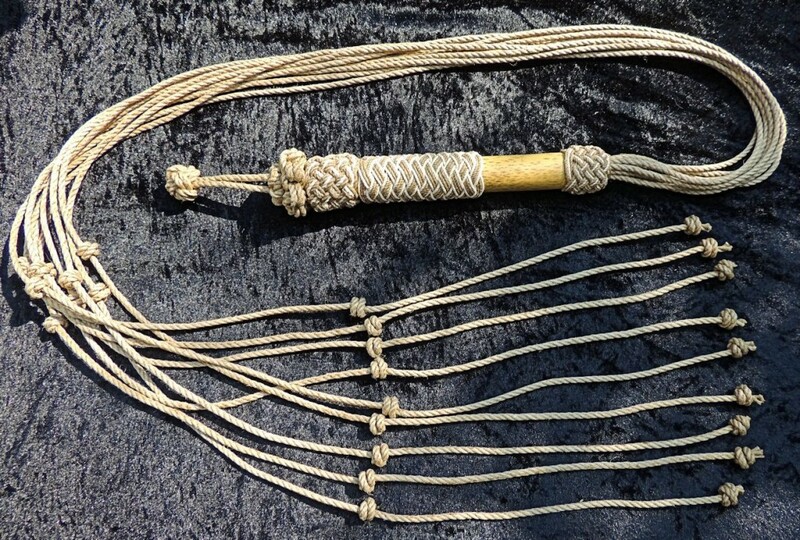 I will have to get the measuring stick out and give you a breakdown of what the different sized cordage was used. I will reply to this post again shortly. If I had to guess, I’d say either 3/15″ or 1/4″ (5mm or 6mm). -What stops the part with all the tails from slipping off then end when used? 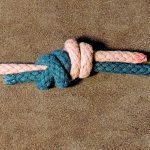 Is it just the tightness of the knots, or is there a hole/groove that they’re held on with? 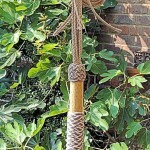 -What length cord was used for the handle? And for the tails? Cheers for visiting this site. OK, it was a long time ago since I made this, but if I recall correctly all the strands run through the length of the bamboo. 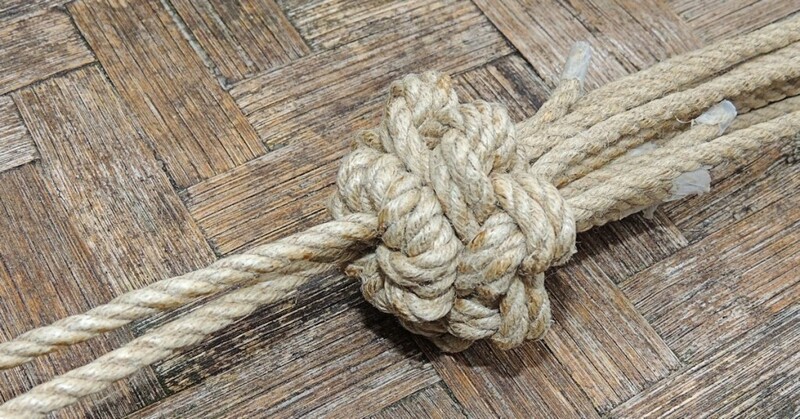 So really this means that the Star Knot is holding them all in place. 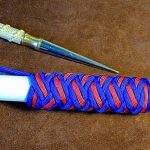 Then to stop is slipping the other way the Turks Head is nice an tight around the 9 strands. Sorry I do not recall the length of cord that was used in efferent sections.